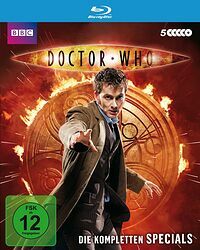 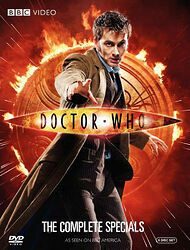 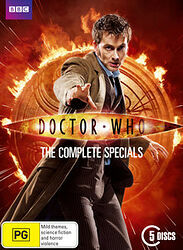 Note: Box set containing The Next Doctor, Planet of the Dead, The Waters of Mars and The End of Time (parts 1 and 2). 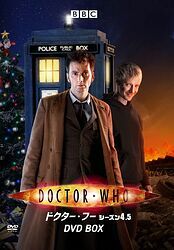 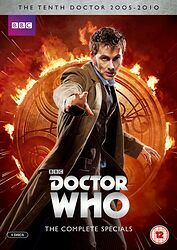 Special features include commentaries, deleted scenes, a David Tennant video diary, BBC Proms footage and episodes of Doctor Who Confidential. 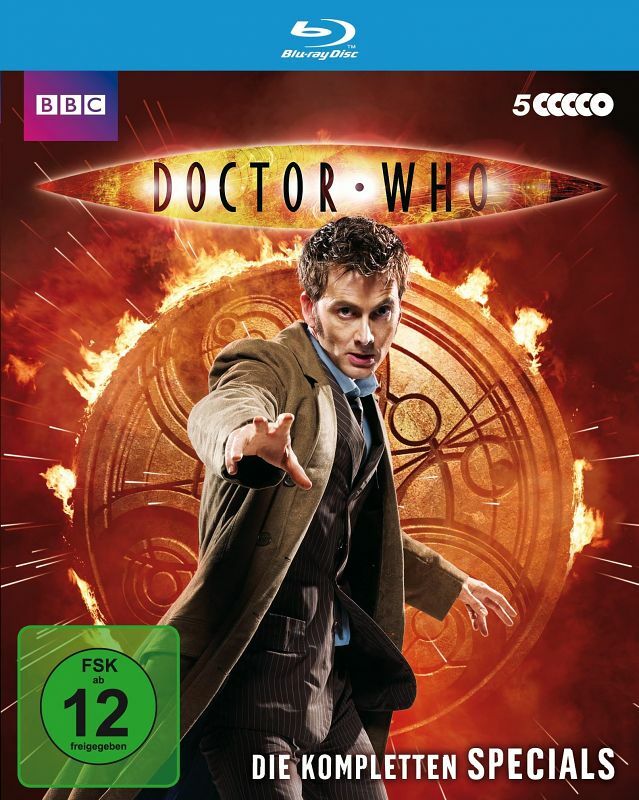 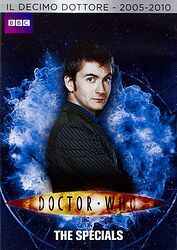 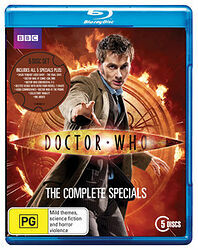 *The Next Doctor feature and Confidential have been upconverted from Standard Definition. 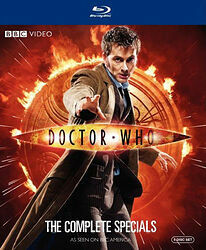 **All High Definition extras have Stereo Audio except The End of Time, Parts One & Two Confidentials (DTS HD). 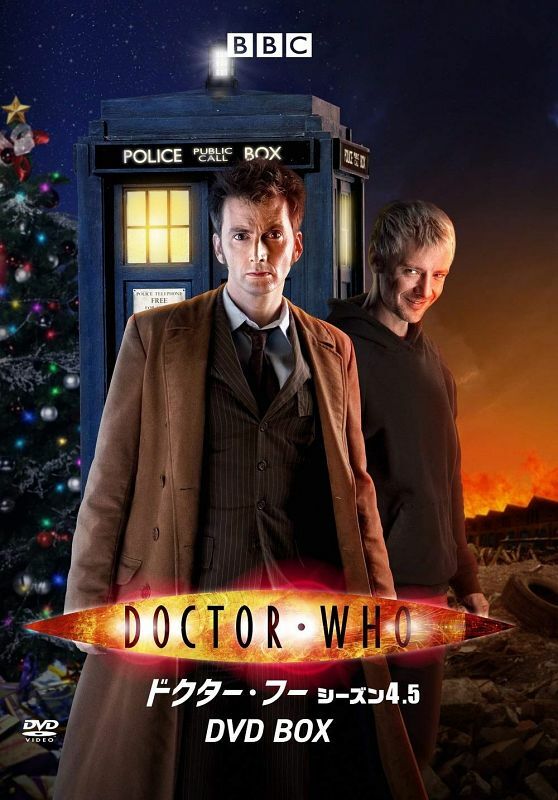 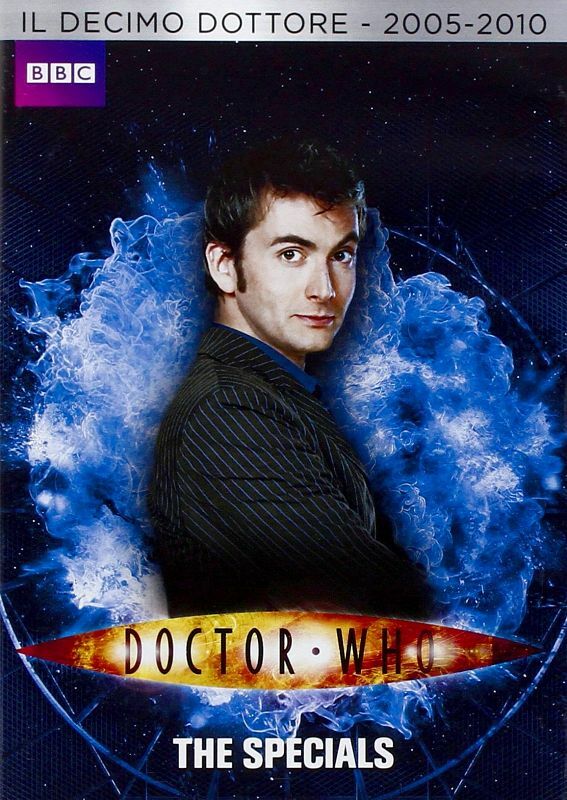 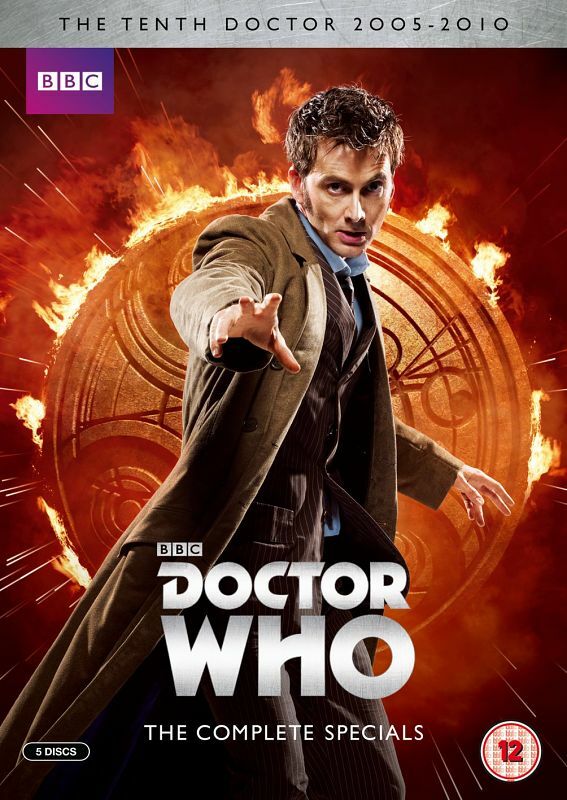 ***For commercial reasons certain edits have been made to The Next Doctor Confidential. 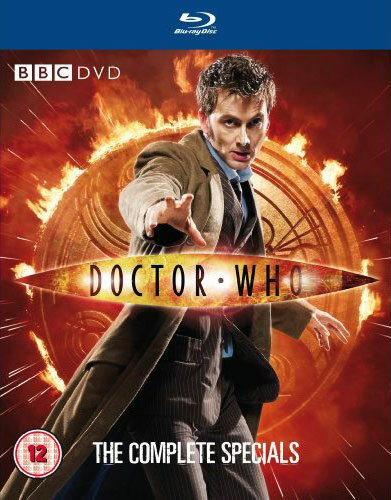 Same blurb as US DVD edition — also contains the same feature/extras blurb as the UK Blu-ray edition. 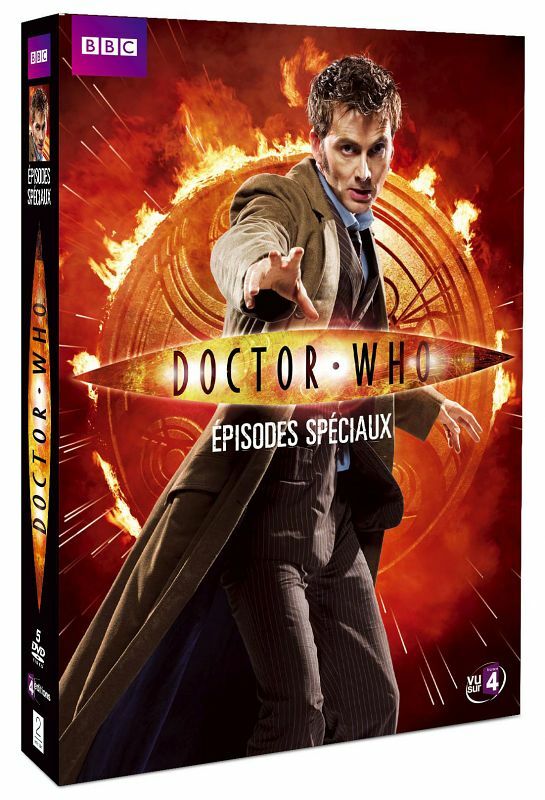 Note: Initially available only at French retailer Fnac. The release date for other retailers was 3rd April 2014. 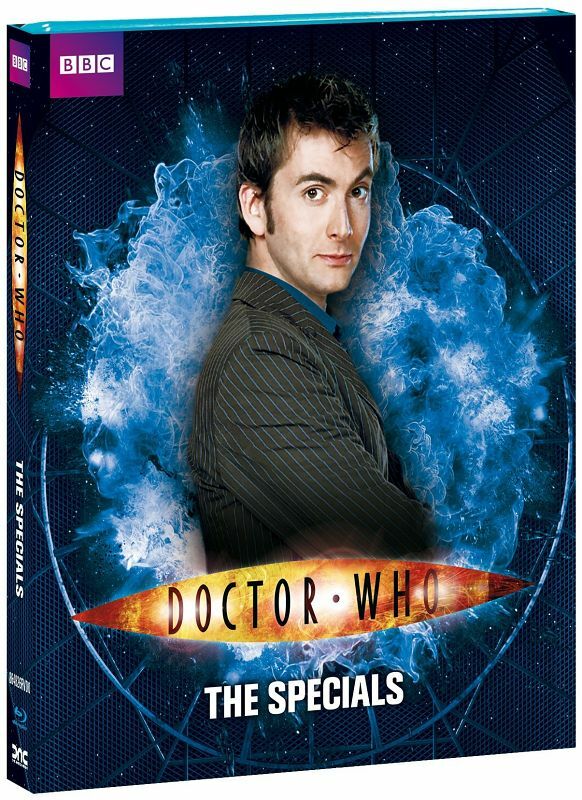 Note: Titled "The Specials II" (yes, in English), this is slightly different to the other countries' releases, as it does not contain The Next Doctor — that story was included on the earlier box set The Specials instead. 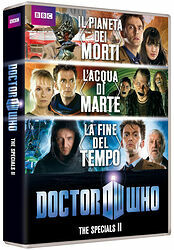 Note: Unlike the 2013 Italian release above, this re-release does contain the same 4 episodes as the UK/US box sets, plus the same set of special features. 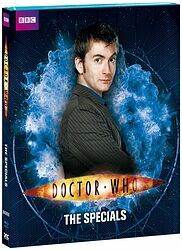 However, just to cause confusion, it sports the same title ("The Specials") and near-identical cover artwork as a different Italian box set from 2012, which had a hugely different episode list and no special features! 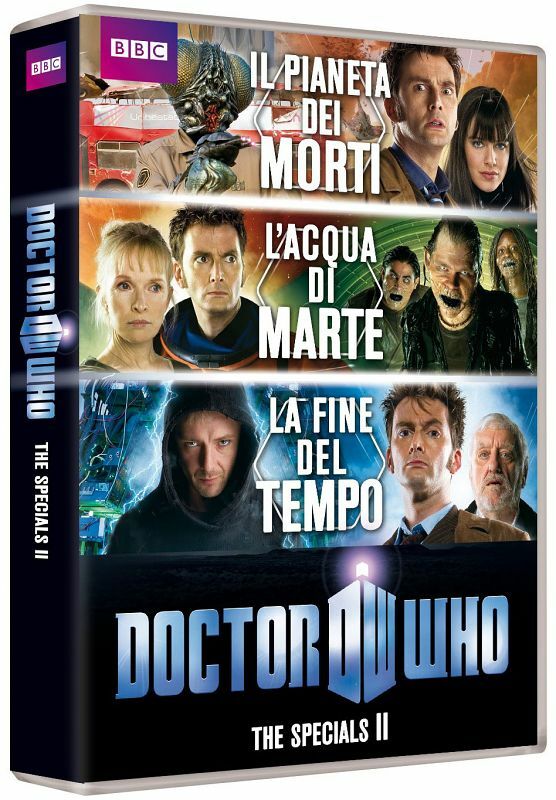 Note: Blu-ray release of the 2015 Italian DVD edition above, with identical contents. 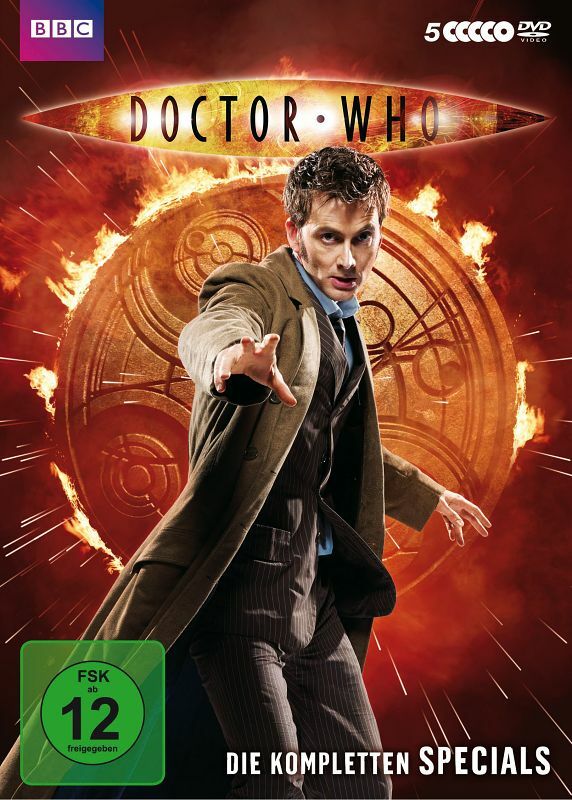 Note: Print-on-demand release using DVD-R discs.